An Industrial company in Northwest Ohio hired Clean Team, a commercial cleaning company strip and wax their VCT floors. The large auto part manufacturer had a tough time keeping their break room floor clean due to the large amount of dirt that is tracked in by employees. Clean Team, a local commercial cleaning company in Northwest Ohio, suggested to have the floors fully stripped and waxed to bring the life back to the floor. Clean Team has designated floor waxing technicians who only do floor work. The VCT floor had little to no wax remaining and a full strip and wax was necessary. Below are before and after pictures of the manufacturers stripped and waxed floors. A customer of Clean Team opened up a new branch of their credit union in Port Clinton, Ohio and needed a deep clean following the construction. Clean Team performs construction cleanups for customers who have additions put onto their current buildings and/or build a brand-new building. The branch was set to open in one month and Clean Team had to prepare the credit union for their grand opening celebration. Clean Team sent a team of experienced cleaners to complete the construction cleanup in this time frame. The construction cleanup team swept and mopped the floors, waxed the brand-new vinyl ceramic tile (VCT), vacuumed, extracted and shampooed the carpets, wiped down all surfaces and furniture, cleaned out all cabinets, and dusted every surface of the credit union. Clean Team puts in a lot of effort and pays very close attention to all of the detail when it comes to cleaning. The customer was very satisfied with the results of the construction cleanup. The credit union employees were very happy to move into their new and very clean office. 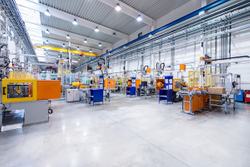 A large equipment manufacturer in Tiffin, Ohio hired Clean Team as their janitorial service provider. Within the first few weeks, Clean Team performed a strip and wax of the customer’s vinyl ceramic tile (VCT) to bring the shine back to the floors. 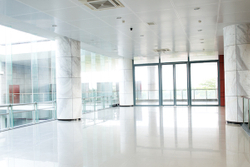 Clean Team has a strong team of floor technicians who specialize in all floor care ranging from strip & wax, burnish, buff, top-scrub and carpet cleaning. Clean Team stripped and waxed all of the VCT hallways, bathrooms, locker rooms, and cafeteria. The customer was very satisfied with the results. 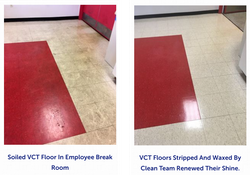 See the pictures below of the difference between the VCT floor before and after the strip & wax. Due to the large size of the floor, Clean Team performed the strip and wax over the course of a few nights. As you can see, a strip and wax brings the life back to a VCT floor. A very large agricultural cooperative in Northwest Ohio had an addition put onto their existing building that needed to be cleaned in just a few days before employees moved into their new office. The office manager was in charge of getting the new offices ready for the employees as soon as the construction was completed. The office manager had less than a week to get the office ready and reached out to Clean Team who was currently cleaning their building. Clean Team offered to do a construction cleanup for the customer. Clean Team was able to send a team of cleaners to complete the construction cleanup in only a few days, well ahead of schedule. The construction cleanup team cleaned out all the outflow HVAC vents, wiped down all furniture and walls making the new addition a virtual dust-free environment. The agricultural cooperative customer was extremely satisfied and excited to get the employees into their new offices a day before expected. Clean Team had yet another very satisfied customer! A manufacturer in Fremont, Ohio was having problems with keeping their rubber composite floors looking clean at their corporate office. The office manager was receiving complaints from executives on the way the floor looked. The office manager reached out to Clean Team asking what was recommended to improve the quality of the floors. Clean Team suggested a strip and wax. The strip and wax would help bring the shine back to the floor making it look brand new again. After seeing how great the floors looked, the office manager expressed how badly the rest of the building needed a strip and wax to bring back the original shine. Clean Team has recently started servicing a major medical facility in Lima, Ohio. This facility sees over 200 patients daily. With Clean Team expertise in the medical field the customer has seen the quality of service drastically improve. Issue: Frustrated that its current cleaning services contractor repeatedly misses days of cleaning service. Facility switches to Clean Team because its unique janitorial employee management tools ensure that no shift is ever missed. 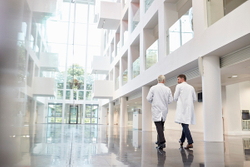 A local medical facility discovers day after day that its current cleaning contractor is missing service—creating significant sanitation risks and violations for the facility. The facility learns that the contracted employee assigned to its building was regularly calling off work and that the contractor did not have a back-up plan in place to cover the shift. Concerned for patient safety, the facility called Clean Team looking for a professional cleaning services solution. Clean Team responded immediately and implemented a customized, healthcare specific cleaning program. Issue: Indianapolis manufacturing facility discovers uninsured cleaning services contractor. A local manufacturer suspected its current janitorial services company of bringing uninsured spouses to clean at its facility. The plant manager determined that uninsured spouses were working in the facility and also discovered that the contractor’s employees were illegally splitting wages with those spouses. The plant manager asked Clean Team to make a professional cleaning services proposal guaranteeing that all employees would be properly hired, trained, insured, and bonded. Issue: Local Manufacturer Decides To Make A Change After Their Current Cleaning Company Routinely Has Quality Issues. A local manufacturer was using a franchised cleaning contractor to service their manufacturing facility, but due to lack of response time and follow up they decided to switch to Clean Team a privately owned commercial cleaning company. The franchise cleaning company had no management or supervision in place, and was nearly impossible to get ahold of during business hours. When the manufacturer called the franchise they would get voicemail after voicemail and no returned calls. The manufacturer called Clean Team, and they quickly learned why Clean Team is known for their pride in customer satisfaction. Clean Team is a family owned business with full office staff, management, supervision, sales staff, and quality customer service. Clean Team prides itself on quick response time and thorough follow ups. Thanks to Clean Team stepping in, the plant can now focus on manufacturing – not cleaning. 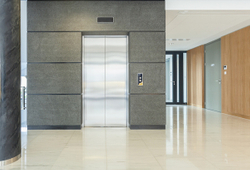 A large Class A office building with several hundred employees and visitors coming in daily was using a commercial cleaning company that did not have specific task schedules or a scope of work defined. 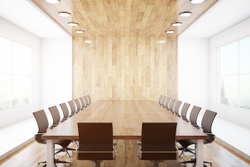 The cleaning was inconsistent and the facilities manager of the Class A building was unaware of what responsibilities the previous facility cleaning contractor was to perform. Clean Team presented and compiled a list of tasks that should be performed each night. 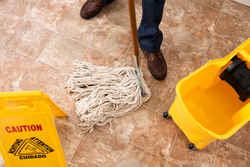 This organization was beneficial for the customer because they were aware of how often trash was going to be taken out, and floors were going to be mopped. They had the peace of mind knowing what was to be cleaned with guidelines in place to hold the cleaning contractor accountable. Objective: A company wanted to streamline operations and discontinue using three different vendors for cleaning-related services. A local company was forced to use three different vendors for cleaning-related services to keep up with demand. One vendor provided cleaning services, another vendor performed floor and carpet care, and yet another vendor supplied its paper and other consumable products. This created inconsistent pricing, scheduling conflicts, and more work for the company’s accounts payable team. Clean Team proposed being a single source provider of supplies, carpet and hard floor care, and routine janitorial services. By switching to Clean Team, the company has saved time and money. The company can now focus on its core competencies, and Clean Team can focus on providing top quality professional janitorial services. Forming a trusted partnership with Clean Team has allowed the company to take advantage of competitive pricing and provided the company with one source for its janitorial needs.